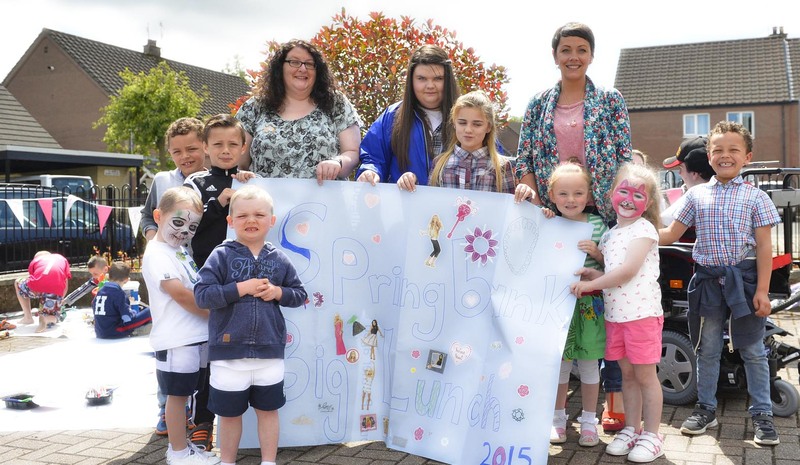 Food, Friendship and Fun was on the menu for the Big Lunch at Springbank, Poleglass, on Sunday 14 June. Residents came together in the sun to share lunch and chat while the children took part in a range of activities. There were plenty of cakes and biscuits and lots of games and competitions on the day - face painting, seed planting, colouring and a book sale in aid of our charity Macmillan Cancer Support. Community Assistant, Alison Cameron, organised the event and we, along with Alison, would like to thank all those who helped to make the event a success. Particular thanks to Grainne McCloskey of the Big Lunch NI, Carrie Neely, Creative Director of Art Loves, Asda Community Life Champion, Noleen McMahon and Cavell Griffin from Belfast City Council.